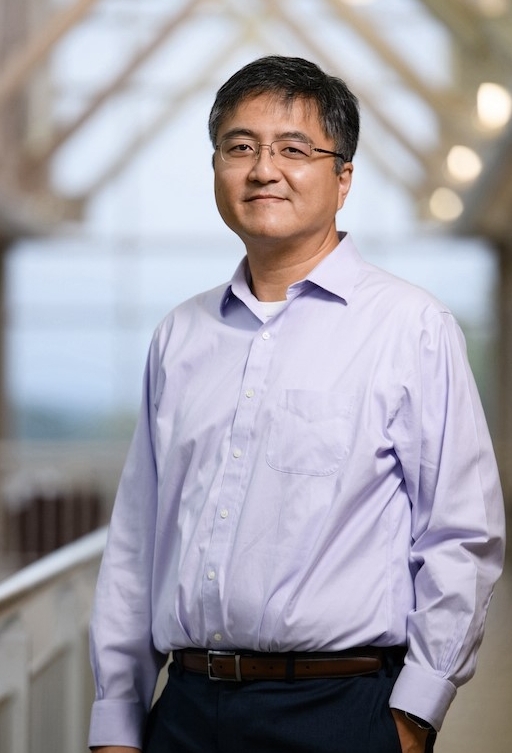 Dr. Wang is currently engaged in research in wireless networks and mobile computing, ad hoc and sensor networks, distributed protocols, and pervasive applications and embedded systems. Advanced wireless technologies will soon connect you to the global communication network no matter where you are, what you are doing, and whether you are on the move. Today’s wireless networks offer plenty of bandwidth when you stay at a place with good “coverage.” Once you are on the move, you will soon experience degraded or disconnected network service due to changes in radio coverage and propagation conditions. Network performance continues to degrade as one moves faster or into more complex environments. We are tackling challenging issues for wireless networks that connect devices with extreme mobility, such as fast moving vehicles or fast moving machine parts. To predict their performance and bring them constant broadband communication, we study adaptive transmission, scheduling, and routing methods that greatly alter the way information is sent by these devices over a network infrastructure. Mobile networking solutions have been studied for decades, but to achieve true broadband under extreme mobility, new network architecture, protocols, and radio designs remain to be discovered. Getting wireless networks to deliver reliable performance wherever people need it is a challenging task. Today, engineers may spend months or years to fully “tune” a wireless network to its optimal performance. The task becomes increasingly challenging as people begin building wireless networks in places unimagined before, such as in a factory machine, on a racing care, or out in the wilderness. Our research group designs wireless networks for transportation engineers to connect traffic control devices machine sensors in factories, for ecologists to connect sensors in the wilderness, and for automobile manufacturers to connect critical components on a moving vehicle. We perform field measurements, theoretical analysis, and software simulation methods to understand, model, and design adaptive solutions to cope with a diverse range of challenging networking requirements. Our research group devotes great efforts in developing hardware testbeds and software simulations for studying wireless networks under varying conditions. We have established testbeds for vehicle wireless networks, machine sensor networks, nature sensing networks, and campus mesh networks. The testbeds allow us to collect realistic performance measurements and network characteristics. We have also developed software simulator for mobile vehicle networks, military ad hoc networks, wireless sensor networks, and cognitive radio networks to allow study of a wide range of system parameters that are relevant to network performance and reliability.